The Ghost in the Machine was a term coined by the English philosopher Gilbert Ryle in response to Descartes' ideas on the dualism of the mind and body. However, in the case of a driver and their car, it's debatable which concept applies. Here's hoping Ryle's! Australian specification 1952. They were manufactured as 4 doors only and retained the same dash layout as the '49. Unique to Australia was a utility version (aka Pick Up in North America). It runs a 6 volt system and the original 216 ci (3.5 litre) six cylinder, dipper lubricated engine as per original specification, although initially we ran an 8 volt battery for a while. When Lynne first revealed that she was going to inherit this car, I was somewhat bemused. Where were we going to keep it anyway? Besides Des was fit and well and he wasn't leaving us in the medium term. Sadly, Lynne's father passed unexpectedly in December 1995. 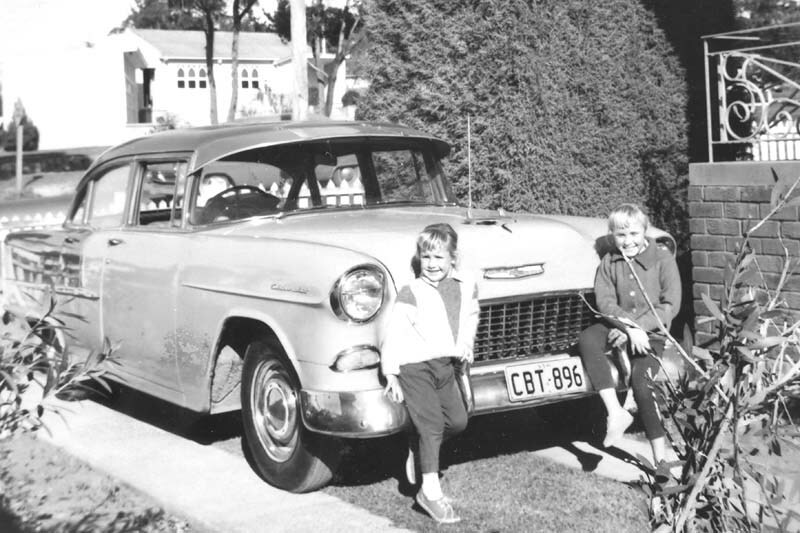 Early in 1998 we went out and fetched the Chev from the family home. It occurred to me that there was only one thing to do. Des restored the vehicle himself, from the upholstery to the paint work. It is his ghost. For him and Lynne I would get this car on the road and drive it. First task was new tyres. That was ok, but the front suspension proved problematical. It had to be restored. It was in the workshop over a month as parts were hard to come by. It was finally ready and I picked it up, only to arrive home with no brakes. I booked it in for a blue slip inspection and made arrangements for a tow truck. I had to cancel at the last minute as the battery went flat. After sorting out the battery, it was down to the workshop for repair and inspection. All new wheel cylinders and brake lines were fitted, but waiting for parts meant she was in the shop for several weeks. Finally in June 1998 she was pronounced roadworthy and was registered. Since then the gear box has been rebuilt and the radiator replaced, but she's ticking along nicely. And our Cocker Spaniels enjoyed riding in her. Unfortunately this vehicle is no longer on the road and is awaiting repair of a cracked cylinder head circa 2014. 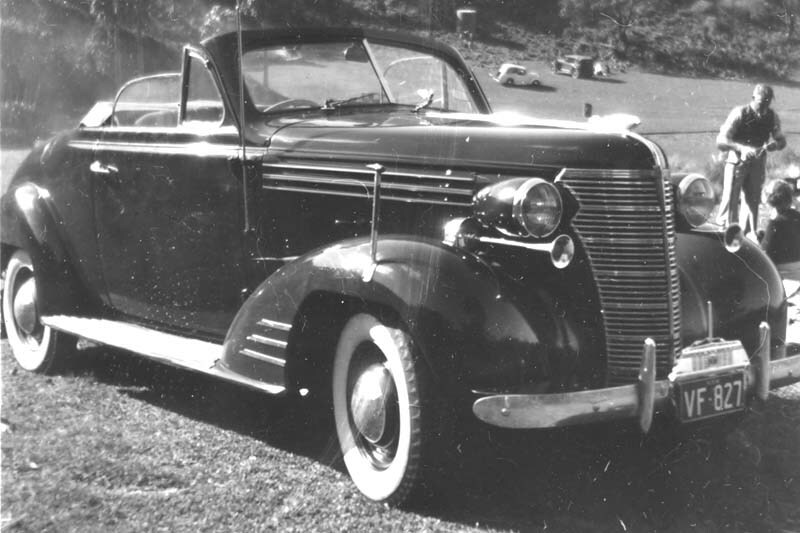 The 1938 Roadster continued being manufactured for the Australian market even though production had ceased in North America. This example was red in colour. It was sold in the late '50s to secure accomodation for the family additions (i.e. Des's first daughter Lynne). 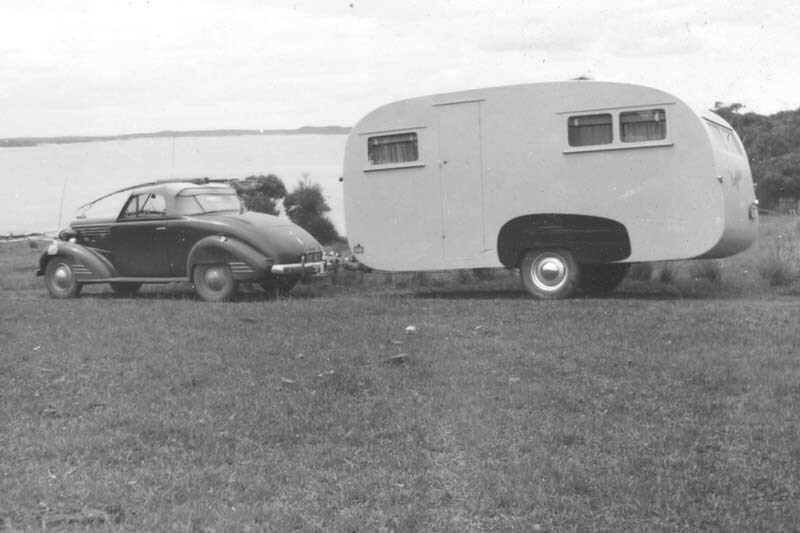 Garie Beach, south of Sydney in 1949. 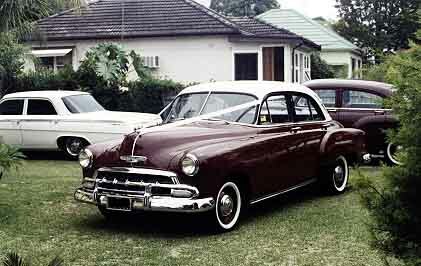 This is an Australian specification '55. They were sold only as 4 door, six cylinder versions. 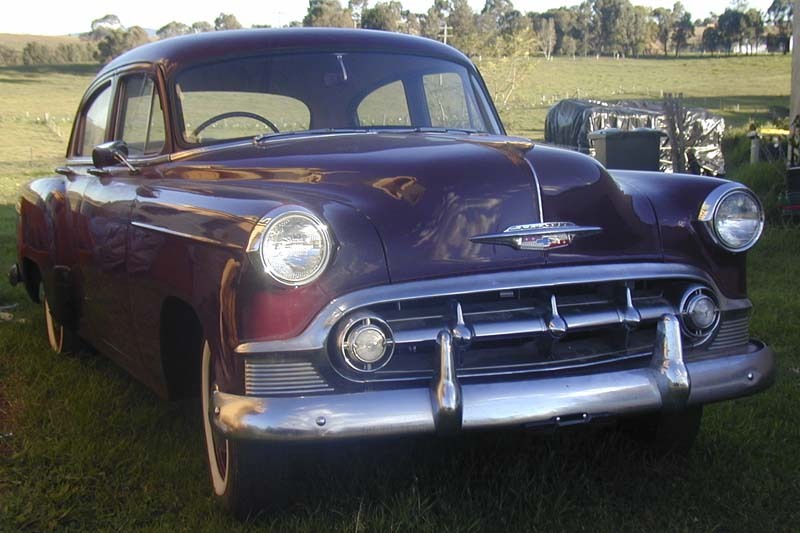 Australian specification 1953. They were manufactured as 4 doors only. This one matches the '52 in colour. Still in the family we hope to have it on the road in the not too distant future however that distance seems to be rather long. 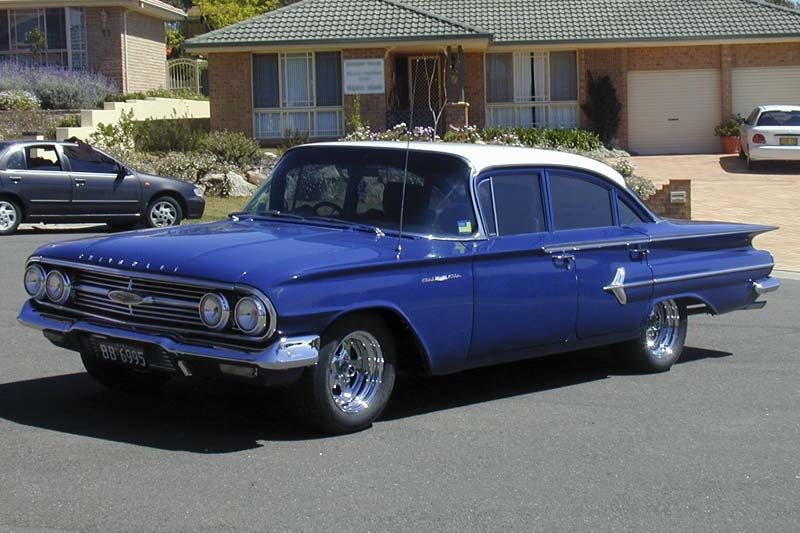 Australian specification '58. They were available as Biscayne models only. 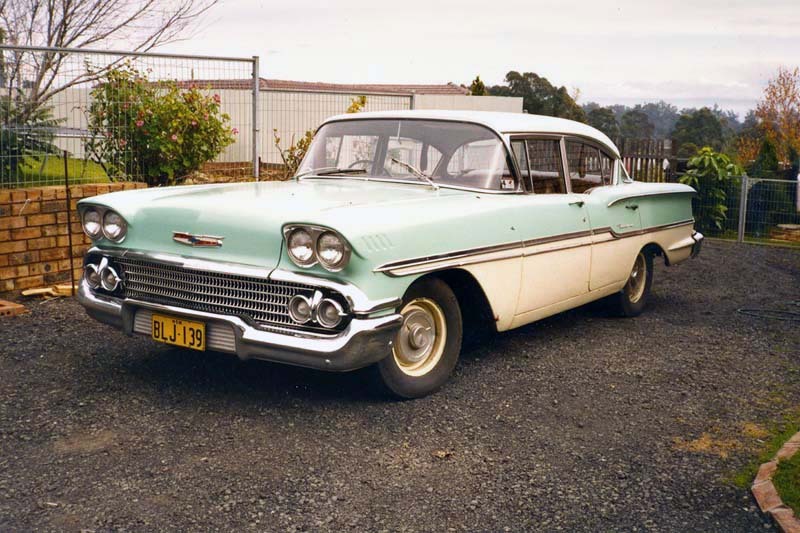 In fact, the term Biscayne is synonymous with the 1958 here. The unfortunate thing... SOLD! 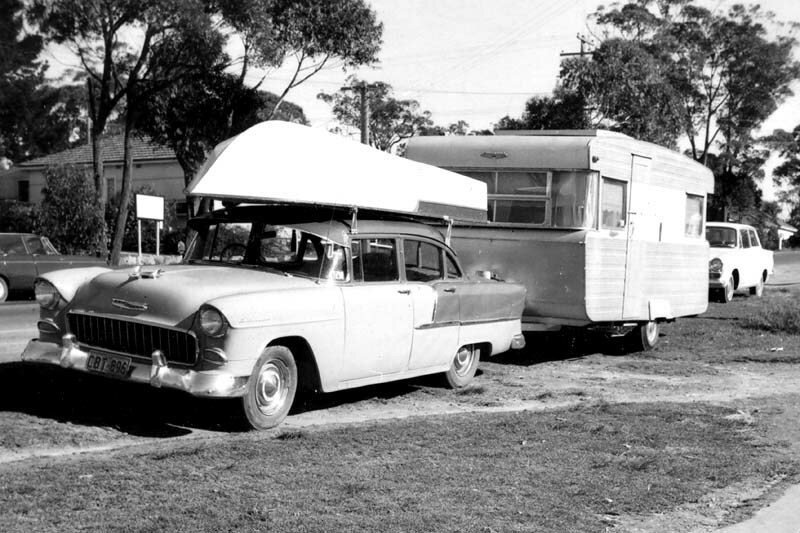 Australian specification 1960. This one remains in the family. 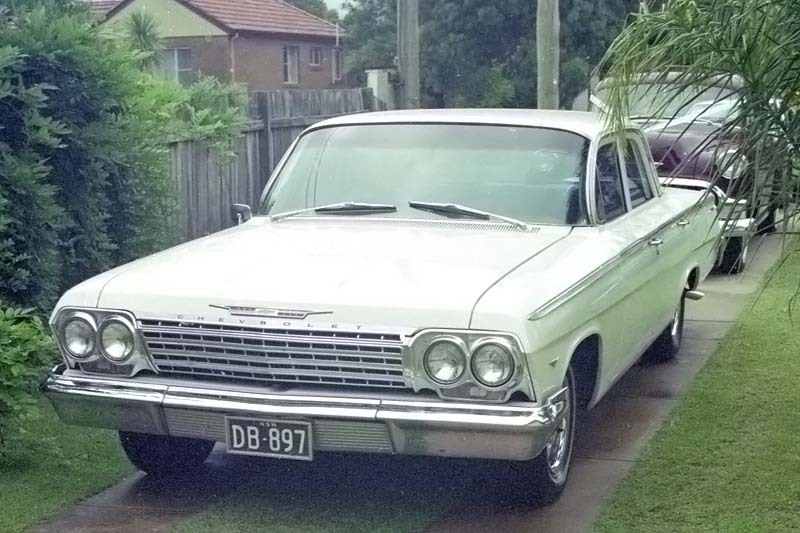 Australian specification V8 1964. This was Des's daily driver although he often gave the '62 a run. 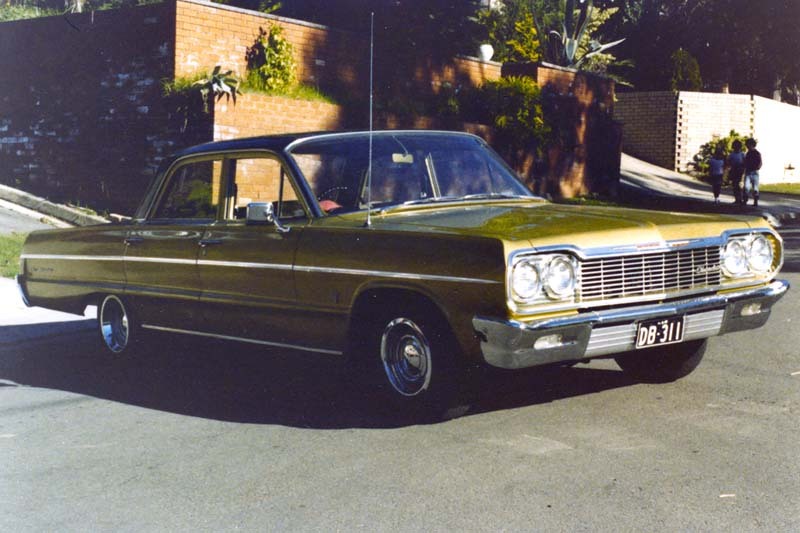 This vehicle is currently undergoing a full restoration and remains in the family. This 1962 is a V8 and was sold.